Married Name Her married name was Burmester. Alice Reinecke married (?) Burmester. Alice Reinecke was born in May 1895 at Wisconsin. She was the daughter of Fred Reinecke and Anna Hahn. Married Name circa 1920 As of circa 1920,her married name was Schwenkhoff. 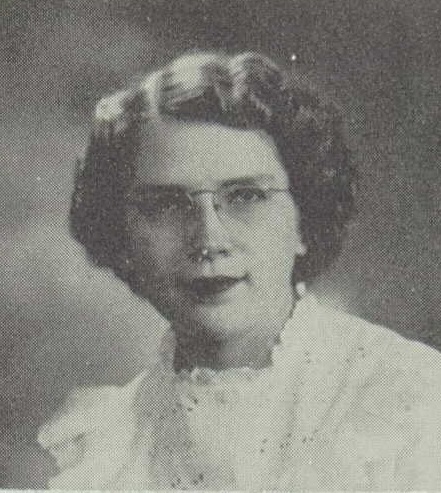 Leona B. Reinecke was born in January 1899 at Wisconsin. Leona B. Reinecke married Herman Schwenkhoff circa 1920. 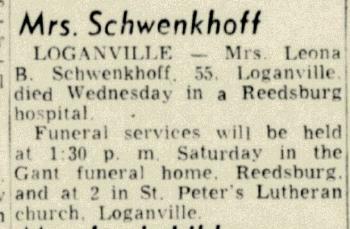 Leona B. Reinecke died on 2 February 1955 at Reedsburg, Sauk, Wisconsin, at age 56 Leona (Reinecke) Schwenkhoff obituary. (?) Burmester married Amelia E. Reinecke, daughter of Fred Reinecke and Anna Hahn. Anna Reinecke was the daughter of Fred Reinecke and Anna Hahn. Anna Reinecke died before 1900. Wilhelmina Reinecke was the daughter of Fred Reinecke and Anna Hahn. Wilhelmina Reinecke died before 1900. Theresa Reinecke married Richard Repka, son of Thomas Repka and Theresa (?). Theresa Reinecke was born in May 1893 at Wisconsin. Richard Repka married Theresa Reinecke, daughter of Fred Reinecke and Anna Hahn. Richard Repka was born circa 1894 at Wisconsin. He was the son of Thomas Repka and Theresa (?). Richard Repka died after 1962. (?) Burmester married Alice Reinecke, daughter of Fred Reinecke and Anna Hahn. Herman Schwenkhoff was born circa 1896 at Wisconsin. He married Leona B. Reinecke, daughter of Fred Reinecke and Anna Hahn, circa 1920. Henry Schwenkhoff married Alvina A. Reinecke, daughter of Fred Reinecke and Anna Hahn. Henry Schwenkhoff was born circa 1900 at Wisconsin. Married Name 14 June 1959 As of 14 June 1959,her married name was Strobel. Lois Avonette Baumgarten was born on 25 February 1932. She was the daughter of Martin H. Baumgarten and Clara Elise Anna Luetkens. Lois Avonette Baumgarten married Reverand Richard William Strobel, son of Joseph Strobel and Ruth Dettmann, on 14 June 1959. Lois Avonette Baumgarten died on 7 February 2017 at age 84 Lois A. Strobel, age 84, of Reedsburg, died peacefully on Tuesday, February 7, 2017 in the Sauk County Health Care Center. She was born on February 25, 1932 in the Town of Freedom, Sauk County, the daughter of Martin and Clara (Luetkens) Baumgarten. 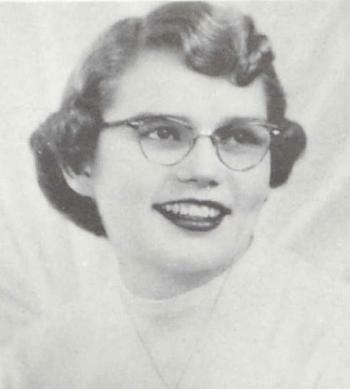 Lois was a 1950 graduate of Reedsburg High School. On June 14, 1959, she was married to the Rev. Richard W. Strobel. They lived in the Dakotas, Montana, Alberta Canada, Minnesota and Wisconsin during their ministry. Lois was an avid historian. She was also a longtime member of the Diamond Hill School reunion committee. Lois embraced her journey in life. Some of her greatest joys in life came through her best friends who were her siblings: Lyle and Lorna; Charlene and Richard; David and Carol. She was a member of St. John's Lutheran Church in Baraboo. Survivors include her four children: Kimberly (Gary) Wiepking, of Brownsville; Martin (Patricia) Strobel, of Baraboo; the Rev. Nathan (Jean) Strobel, of Cedarburg and Rhoda Strobel, of Pewaukee; nine grandchildren: Dr. Jessica (Stephen) Bayer, Melissa (Robert) Wiedenhoeft, Jedidiah, Emma, Abigail and Elizabeth Strobel; Samuel, Kathryn and Timothy Wiepking; one great grandson: Stephen Matthew; one brother: David (Carol) Baumgarten, of North Freedom; two brothers-in-law: Rev. Richard Lauersdorf and John Strobel; her aunts: Mary Ellen Baumgarten and Violet Vinz, of Reedsburg; her uncle: Melvin Baumgarten, of Loganville; nieces and nephews; other relatives and friends. She was preceded in death by her parents; her husband, Richard, on October 19, 2011; one brother: Lyle (Lorna) Baumgarten and one sister: Charlene Lauersdorf. Funeral services will be conducted at 1:00 P.M. on Saturday, February 11, 2017 at St. John's Lutheran Church in Baraboo with Pastor Nick Maglietto officiating. Interment will be at Oak Hill Cemetery in North Freedom. There will be a visitation from 11:00 A.M. until the time of the service on Saturday at the church. In lieu of flowers, memorials to St. John's Lutheran Church in Baraboo or the Sauk County Health Care Center would be appreciated. The Hoof Funeral Home is serving the family. Lois Avonette Baumgarten graduated in 1950 at Reedsburg High School, Reedsburg, Sauk, Wisconsin. Reverand Richard William Strobel was born on 15 July 1934 at Wisconsin. He was the son of Joseph Strobel and Ruth Dettmann. Reverand Richard William Strobel married Lois Avonette Baumgarten, daughter of Martin H. Baumgarten and Clara Elise Anna Luetkens, on 14 June 1959. Reverand Richard William Strobel died on 19 October 2011 at age 77 The Rev. Richard W. Strobel, age 77, of Baraboo, died on Wednesday, October 19, 2011 at St. Clare Hospital in Baraboo. He was born on July 15, 1934 in the Town of Woodland, Dodge County, the son of Joseph and Ruth (Dettmann) Strobel. 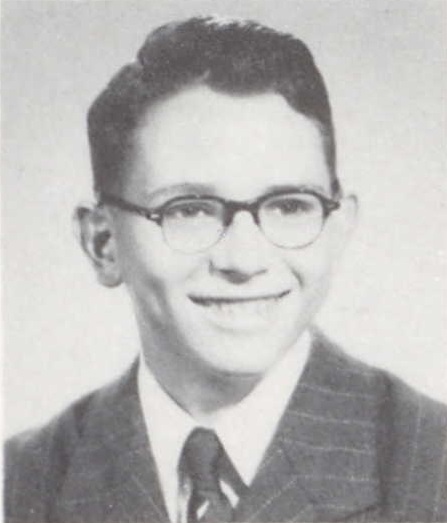 Richard attended St. John's Lutheran School and Northwestern Preparatory College, both in Watertown. He went on to graduate from Wisconsin Lutheran Seminary of Mequon. He was ordained as a pastor of the Wisconsin Evangelical Lutheran Synod in the summer of 1959. On June 14, 1959, he was united in marriage to the former Lois A. Baumgarten and they were blessed with four children. Rev. Strobel served 18 years as a parish pastor and 23 years as a college professor at a ministerial education college. He was presently a member of St. John's Lutheran Church in Baraboo. Survivors include his wife, Lois, residing at the Sauk County Health Care Center in Reedsburg; four children: Kimberly (Gary) Wiepking, of Brownsville; Martin (Patricia) Strobel, of Baraboo; Rev. Nathan (Jean) Strobel, of Cedarburg and Rhoda Strobel, of Pewaukee; nine grandchildren: Jessica and Melissa Strobel; Jedidiah, Emma, Abigail and Elizabeth Strobel; Samuel, Kathryn and Timothy Wiepking; one brother: John (best friend, Karen) Strobel, of Franklin; two brothers-in-law: Lyle Baumgarten, of Lime Ridge and David (Carol) Baumgarten, of North Freedom; one sister-in-law: Charlene (Rev. Richard) Lauersdorf, of Jackson; special friend: Deb Wolleben; nieces and nephews; other relatives and friends. Richard was preceded in death by his parents; his infant twin brother and his father-in-law and mother-in-law: Martin and Clara Baumgarten. Funeral services will be held at 2:30 P.M. on Sunday, October 23, 2011 at St. John's Lutheran Church in Rock Springs with Pastor Thomas Fricke officiating. Interment will be at Oak Hill Cemetery in North Freedom. There will be a visitation from 4:00 P.M. to 7:00 P.M. on Saturday at the Hoof Funeral Home in Reedsburg and from 1:30 P.M. until the time of the service on Sunday at the church. Memorials to Martin Luther College or St. John's Lutheran Church in Baraboo would be appreciated. The Hoof Funeral Home in Reedsburg is serving the family. Lyle Martin Baumgarten was born on 3 October 1933. He was the son of Martin H. Baumgarten and Clara Elise Anna Luetkens. Lyle Martin Baumgarten witnessed the marriage of Reverand Richard William Strobel and Lois Avonette Baumgarten on 14 June 1959. Lyle Martin Baumgarten married Lorna Shimniok on 12 August 1961. Lyle Martin Baumgarten died on 26 January 2016 at age 82 Lyle Martin Baumgarten, 82, of Lime Ridge, was welcomed into Jesus’ loving arms on Tuesday, Jan. 26, 2016, at home. He was born to Martin and Clara (Luetkens) Baumgarten on Oct. 3, 1933, in the town of Freedom. He was baptized on Oct. 22, 1933, and confirmed on March 30, 1947, at St. John Ev. Lutheran Church, Rock Springs. Lyle graduated from Reedsburg High School in 1951. He proudly served his country in the United States Navy from 1953-1957. At the end of the Korean war, Lyle was aboard a minesweeper USS Reedbird AMS-51/YMS-291. His last duty was aboard the aircraft carrier USS Forrestal CVA-59, at that time the largest vessel in the Navy. In 1961, Lyle graduated from the University of Platteville with a Bachelor of Science in Agricultural Education. The Lord blessed Lyle’s life with love and joy. On Aug. 12, 1961, Lyle married Lorna (Shimniok) at St. John’s Ev. Lutheran Church, Baraboo. He worked in sales and marketing for animal related feed and pharmaceutical companies. He also managed a duck farm. He will be remembered for his positive attitude, his interest in others and his quick wit. Lyle loved to sing and was a member of church choir. His interests ranged from photography to garden flowers to black and tan coonhounds. He served as a 4-H leader and showed his purebred buff Brahma chickens throughout the United States. Those thankful for sharing the blessing of his life include his children, Pamela (William) Domeier and Angela (Daniel) Filip; sister, Lois Strobel; brother, David (Carol) Baumgarten; aunt, Violet Vinz; brother-in-law, Richard Lauersdorf; sisters-in-law, Ruth Licht and LaDell Shimniok; nieces, nephews, other relatives and dear friends. Lyle was preceded in death by his parents; wife, Lorna on Dec. 27, 1991; sister, Charlene Lauersdorf; and brother-in-law, Richard Strobel. Funeral services will be conducted at 2 p.m. on Friday, Jan. 29, 2016, at St. Paul’s Ev. Lutheran Church in North Freedom with Rev. Andrew Meyer officiating. Military Rites will be conducted by VFW Post 1916 of Reedsburg, following the service at the church. Visitation will be held from 5-8 p.m. on Thursday, Jan. 28, 2016, at Redlin Funeral Home and from noon until the time of the service at the church on Friday. Burial will be follow at Kingston Cemetery in Merrimac. Memorials may be made to St. Paul’s Lutheran Church. Lyle Martin Baumgarten graduated in 1951 at Reedsburg High School, Reedsburg, Sauk, Wisconsin. Married Name 26 June 1960 As of 26 June 1960,her married name was Lauersdorf. Charlene Baumgarten was born on 14 March 1937 at Sauk, Wisconsin. Charlene Baumgarten witnessed the marriage of Reverand Richard William Strobel and Lois Avonette Baumgarten on 14 June 1959. Charlene Baumgarten died on 26 April 2014 at Wisconsin at age 77. Charlene Baumgarten graduated in 1955 at Reedsburg High School, Reedsburg, Sauk, Wisconsin. Albert Baumgarten was born circa 1891 at Wisconsin. George Spreuer married Anna (?). George Spreuer was born circa 1886 at Russia. Married Name Her married name was Spreuer. Name Variation Anna (?) was also known as Lizzie (?). Anna (?) married George Spreuer. Anna (?) was born circa 1894 at Russia. Jacob Spreuer was born on 27 August 1914 at Canada. He was the son of George Spreuer and Anna (?). Jacob Spreuer died on 10 February 2006 at age 91. Name Variation Elizabeth Spreuer was also known as Lizzie. Married Name Her married name was Alwin. Elizabeth Spreuer married (?) Alwin. Elizabeth Spreuer was born on 20 February 1912 at Russia. She was the daughter of George Spreuer and Anna (?). Elizabeth Spreuer died on 24 November 2002 at age 90. (?) Alwin married Elizabeth Spreuer, daughter of George Spreuer and Anna (?). Name Variation Elsa Spreuer was also known as Elsie. Married Name Her married name was Lautenschlager. Elsa Spreuer married (?) Lautenschlager. Elsa Spreuer was born on 22 July 1916 at Idaho. Elsa Spreuer died on 9 January 1992 at age 75. (?) Lautenschlager married Elsa Spreuer, daughter of George Spreuer and Anna (?). Name Variation Albert Bernard Wiese was also known as Albert Bernhart. Albert Bernard Wiese married Edna Bertha Hasse. Albert Bernard Wiese was born on 21 September 1900 at Westfield, Sauk, Wisconsin. He was the son of William Weise and Dorothy Thieding. 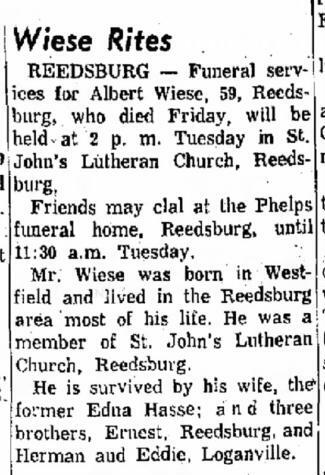 Albert Bernard Wiese died on 20 May 1960 at Sauk, Wisconsin, at age 59. [S244] U.S. Federal Census 1910 U.S. Federal Census, by Ancestry.com, Year: 1910; Census Place: Westfield, Sauk, Wisconsin; Roll: T624_1737; Page: 8A; Enumeration District: 0130; Image: 140; FHL Number: 1375750. [S250] U.S. Federal Census 1930 U.S. Federal Census, by Ancestry.com, Year: 1930; Census Place: Westfield, Sauk, Wisconsin; Roll: 2609; Page: 3B; Enumeration District: 0039; Image: 521.0; FHL microfilm: 2342343. Name Variation Eduard Wm Wiese was also known as Eddie. Name Variation Eduard Wm Wiese was also known as Edward. Eduard Wm Wiese married Ruth R. Rose, daughter of Henry Rose and Fredericka Ehlert. Eduard Wm Wiese was born on 10 February 1892 at Westfield, Sauk, Wisconsin. Eduard Wm Wiese died on 1 March 1968 at Sauk, Wisconsin, at age 76. Bertha Katherine Maria Wiese married Paul H. Rose, son of Henry Rose and Fredericka Ehlert. Bertha Katherine Maria Wiese was born circa 1896 at Wisconsin. She was the daughter of William Weise and Dorothy Thieding. Bertha Katherine Maria Wiese died before 1960. Married Name Her married name was Schmelzer. Mary M. Dederich married David J. Schmelzer. Mary M. Dederich was born on 20 September 1926. She was the daughter of Anton Dederich and Agnes I. McCluskey. Mary M. Dederich died on 13 June 2011 at age 84 Mary M. Schmelzer (Dederich), age 84, passed away at HospiceCare, on Monday, June 13, 2011. She was born on Sept. 20, 1926, the daughter of Anton and Agnes Dederich (McCluskey) in Bear Valley. Mary's most important job was that of being a mother, but she was also employed at St. Mary's Hospital, Rennebohm Drug Store, Bancroft Dairy and most recently the WI Department of Revenue from which she retired in 1989. Mary was a member of Our Lady Queen of Peace Catholic Church. Mary is survived by three children, John (Margaret) and Gary (Connie) both of Oregon, and Michael of Universal City, Texas. She is also survived by eight grandchildren; 13 great-grandchildren; and two great-great-grandchildren; as well as numerous nieces and nephews. Mary was preceded in death by her husband, David; her daughter, Anna Schmelzer Fontana; and three grandchildren, Keith and Kevin Schmelzer, and Benjamin Hamilton; as well as her parents; and brothers, Vincent and Clarence. A Mass of Christian Burial will be held on Friday, June 17, 2011, at OUR LADY QUEEN OF PEACE CATHOLIC CHURCH, 401 S. Owen Drive, Madison at 1 p.m., with Monsignor Kenneth Fiedler officiating. Burial will follow at Sunset Memory Gardens, Madison. A visitation will be held on Thursday, June 16, 2011, at JOYCE-RYAN FUNERAL HOME, 5701 Odana Road, Madison, from 4 p.m. - 7 p.m. and again at the church on Friday from noon until the time of Mass. In lieu of flowers, memorials may be made to the Apostolate to the Handicap, 515 22nd Ave., Monroe, WI 53566; or to HospiceCare, 5395 E. Cheryl Parkway, Madison, WI 53711. David J. Schmelzer married Mary M. Dederich, daughter of Anton Dederich and Agnes I. McCluskey. David J. Schmelzer died before July 2008. Married Name Her married name was Fontana. Anna Marie Schmelzer married Benjamin Grant Hamilton. Anna Marie Schmelzer was born on 28 May 1948 at Madison, Dane, Wisconsin. She was the daughter of David J. Schmelzer and Mary M. Dederich. Anna Marie Schmelzer died on 11 July 2008 at age 60 Anna Marie Hamilton-Fontana-Schmelzer centered her life around family, friends and her Bible. She was a kind, devoted and giving wife, mother, daughter and friend; she had a special wayof showing her love. She was born May 28, 1948, in Madison to David J. 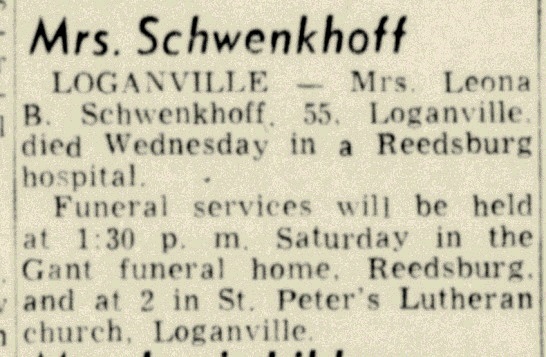 (deceased) and Mary M. Schmelzer. The loving spirit of our beloved went home to join her Savior on July 11, 2008. She was married to Benjamin Grant Hamilton (deceased) and out of that union four children were born:three daughters, LaDonna R. Hamilton-Stueart, LaShelle R. Hamilton,and LaToya R. Hamilton; and a son- Benjamin D. Hamilton who preceded her in death. She attended Our Lady of Good Hope Catholic Church at Hope, Ark. She was educated in Madison. She furthered her education and received a degree as a Licensed Practical Nurse from University of Arkansas Community College at Hope, Ark., in 2003.As a strong, caring and positive individual she was never short of a perfect ideal and willingly gave her time wherever needed. She also enjoyed cooking, crocheting, painting and looking for bargains while shopping. Left to celebrate and cherish her life on this earth are her mother, Mary Schmelzer (David, deceased) of Madison; her daughters, LaDonna Hamilton-Stueart of Prescott, Ark., LaShelle Hamilton of Bartlett, Tenn., and LaToya Hamilton of Hot Springs, Ark; a daughter-in-law, Denese Hamilton (Benjamin D., deceased) of Loganville, Georgia; three brothers, John Schmelzer (Maggie) and Gary Schmelzer (Connie) of Oregon, Wis., and Michael Schmelzer of Universal City, Texas; and a sister-in-law, Freddie Hamilton of Prescott, Ark. She also leaves behind her much beloved grandchildren, Joseph Stueart Jr., Luther Stueart, Alex Hamilton, Daloris Stueart, Rontarious Hamilton and NaShea' Goetzendanner, LaKeisha Hamilton, Jaleesa Hamilton; and a great-grandson, Darius Stueart. In addition, a host of nieces, nephews and friends are left to celebrate her memory. There will be a Memorial Service Thursday, July 17, 2008,at 11 a.m. at the COTHRANCHAPEL CHRISTIAN METHODIST EPISCOPAL CHURCH, 422 Greenlawn St., Prescott. Martin J. Gassen was born circa 1923 at Wisconsin. He was the son of Richard Martin Gassen and Clara I. Faber. Martin J. Gassen died before June 2013. [S250] U.S. Federal Census 1930 U.S. Federal Census, by Ancestry.com, Year: 1930; Census Place: Orion, Richland, Wisconsin; Roll: 2608; Page: 2B; Enumeration District: 12; Image: 730.0. Francis P. Gassen was born circa 1924 at Wisconsin. Francis P. Gassen died before June 2013.